We found this site during one of our many searches for cool compact campers; RV/MH Hall of Fame. They dedicate the web site to the history of American-made pop-up campers and displays a museum specifically for the pop up camper. The site documents the manufacturers who produced and sold pop-up campers throughout the 20th century. Included with each manufacturer will be brochures, advertisements, news and magazine articles. Early styles are fun to see and their functionality is quite unique. 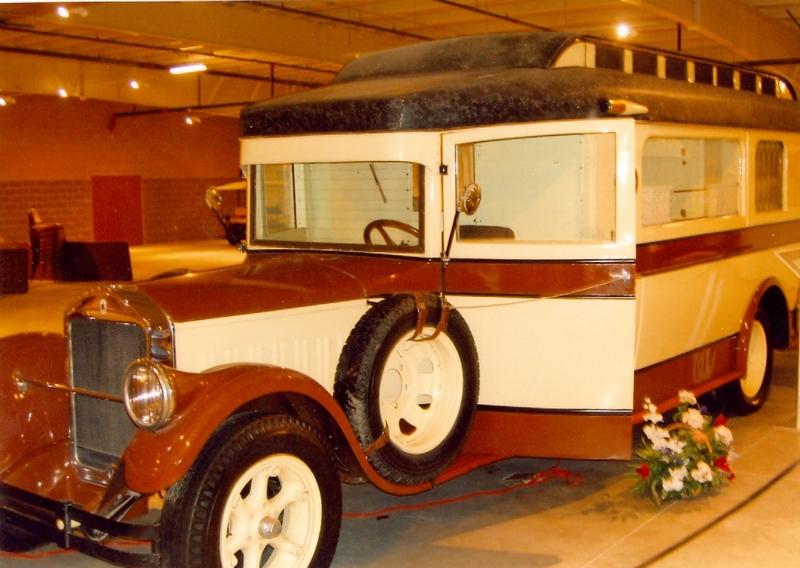 A pop-up camper with a trailer – circa 1913. The evolution is inspiring and heartening for what we do and design.